Based on 505 customer ratings. You don’t have to travel far to get to Giordano’s. Bring a bottle of wine or beer and relax in our dining room, or order online or over the phone for pickup or delivery. Lincoln Square is the quintessential Chicago neighborhood. All you need now is the best deep dish pizza in town to cap off a day well-spent in Lincoln Square. 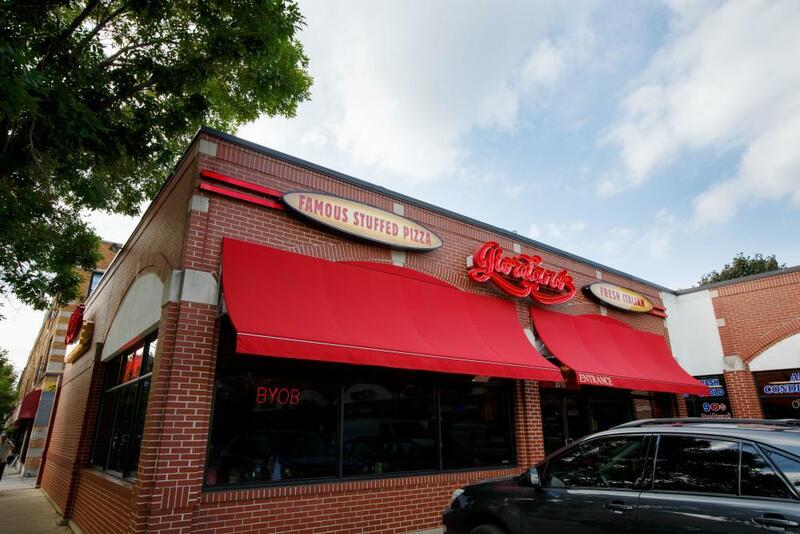 When nothing but the best Chicago-style pizza will do, visit Giordano’s! Our pizza artisans have handcrafted stuffed pizzas made with an attention to old-world heritage that other restaurants can only copy. For over 40 years, we have been the best pizza place in town — isn’t it time you stopped in for a pie? The Best Pizza Delivery and Restaurant At Giordano’s, making the world’s flakiest, most delicious stuffed pizza is a special experience only performed by carefully trained artisans. It takes 6 of our craftsmen to build each stuffed pie, which we top with the finest ingredients and slow bake to perfection. With cheese made on a small Wisconsin farm and the ripest, freshest ingredients, it only takes one bite to see why we’re the best pizza delivery and restaurant in Lincoln Square. But don’t let our mouthwatering pizzas keep you from trying dishes from our full menu! We have specialty Italian sandwiches, savory pastas, fresh salads and zesty appetizers — and if you need gluten-free menu options, just ask!